Executive Office Maintenance realizes that a dirty entryway to your property or building can unknowingly be shaping a customer’s perception of your business. Routine pressure washing services help maintain a clean appearance for your shopping center, hotel entryway, restaurant, fast food drive-thru, automobile dealership service drives and mechanics bays, office building or downtown storefront. EOM’s high pressure, hot-water power washing services offer an affordable and convenient way to keep up a clean and uniform appearance in your property’s walkways. 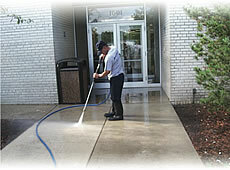 Pressure Washing services can be scheduled for any day of the week, day or night. Our scheduling flexibility avoids interfering with any nearby foot traffic. Our experienced crews know to protect against any water penetration under doorways, rinse off common backsplash that occurs near your windows and walls and are capable of transporting their own water supply if required. 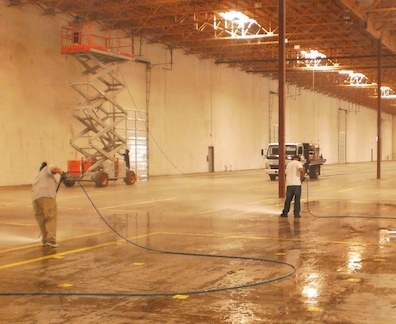 It is always EOM's goal to accommodate your business requirements, your employees or customers needs and provide the highest level of service you would expect from professional Power Washing services. 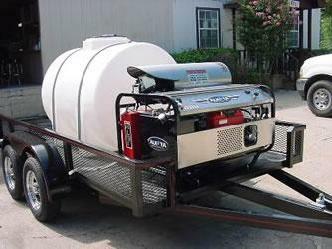 There are too many experiences with pressure washers who overcharge and underperform, it is easy to be unimpressed and under whelmed. You don't need irresponsible, fly-by-night contractors who were not properly trained, truly committed or insured. Power washing involves a lot more than just pointing and spraying. Our bids communicate value, quality and an understanding of the scope of work and issues. In addition to delivering excellent pricing and results, we also take great pride in our relationships with our clients. We don't "disappear" after a bid is signed. Our managers’ follow-up after each job to make certain that we have met your expectations. We will never call a job complete or send an invoice until every effort has been made to deliver the service and results our clients expect.